HAVE YOU HEARD? x Jameson Thailand are thrilled to be welcoming Honne back to Bangkok for #JAMNIGHT Live! 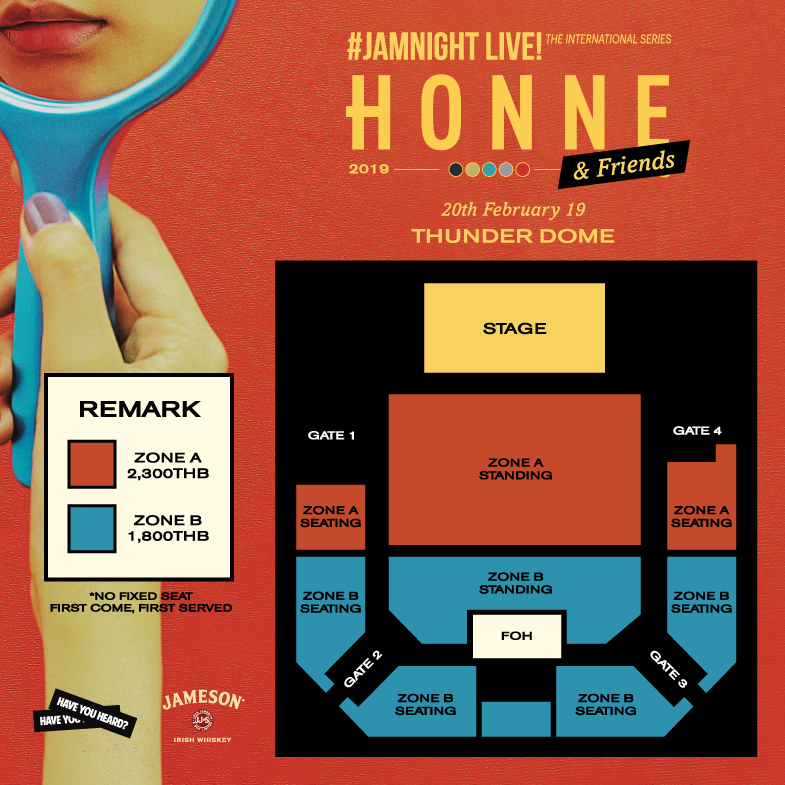 with Honne & Friends on February 20th, 2019 at Thunder Dome, Muang Thong Thani. The pair of producers -- James Hatcher and Andy Clutterbuck released their debut EP, Warm on a Cold Night, in September 2014, followed that same year by All in the Value. After starting their own label, Tatemae Recordings, in 2015, they released two more EPs, Coastal Love and Over Lover. HONNE built an online following and toured in Europe, selling out shows in their home country. In January 2016, Gone Are the Days was released. A collaborative single with Izzy Bizu, "Someone That Loves You," followed months later as the pair prepared for a summer festival tour and their debut full-length album, which shared its name, Warm on a Cold Night, with their debut EP. Their sophomore set, Love Me/Love Me Not, arrived in the summer of 2018.